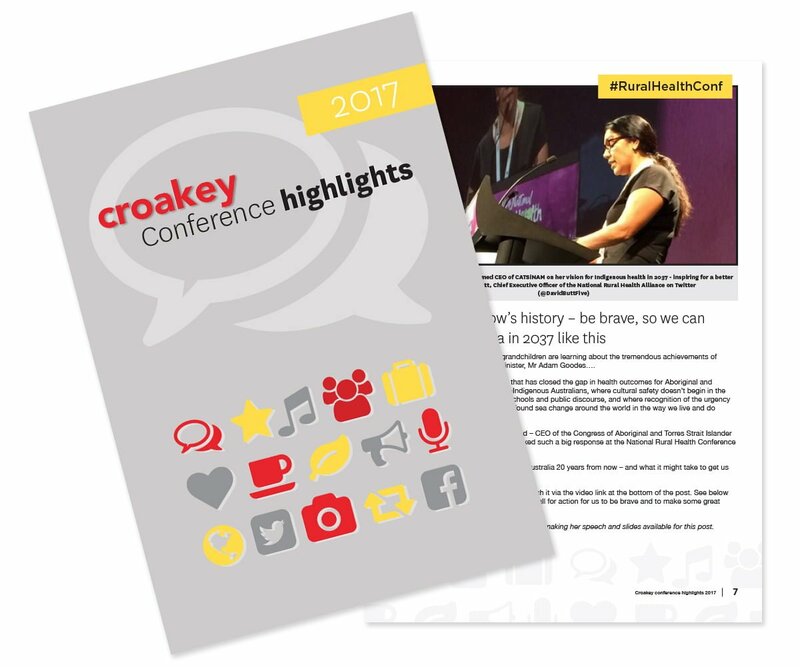 Introduction by Croakey: On 25 May, Lucy Sullivan, executive director of the US-based 1,000 Days organisation, sent out a Twitter thread, warning that a battle over breastfeeding was brewing at the World Health Assembly in Geneva. As with other health policy battles, it comes down to public health vs. private profit. 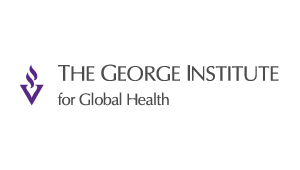 In the global health community, these three words are familiar and foundational for optimal infant and young child feeding at a policy level as well as to the work of breastfeeding advocates. They were crucial to the basis of the WHO Code of Marketing of Breastmilk Substitutes when it was introduced in 1981 and echoed in the Innocenti Declaration of 1990. Today this is mirrored in the current Standards for Practice for midwives in Australia. 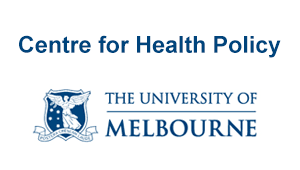 Last month, using an internationally accepted and validated measurement tool, a newly formed collaborative group of Australian breastfeeding experts completed an assessment of the state of our nation on breastfeeding support and policy. The resulting scorecard showed that Australia’s performance is mediocre. 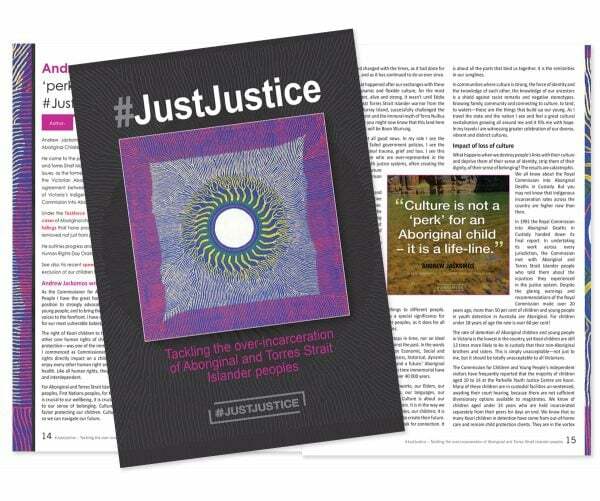 Across ten key indicators of policies which protect, promote and support women to breastfeed successfully, the assessment placed Australia third from worst out of the 94 countries across the globe who have already assessed. We scored 25.5/100. (See the report card beneath this article). Yes. In Australia we have done especially well with “promote”. Almost all women will initiate breastfeeding and most people understand that breastfeeding is very healthy and good and natural for babies. Very few babies, however, will be feeding according to national and international guidelines at 6 months. As a nation we could do better at “support”. 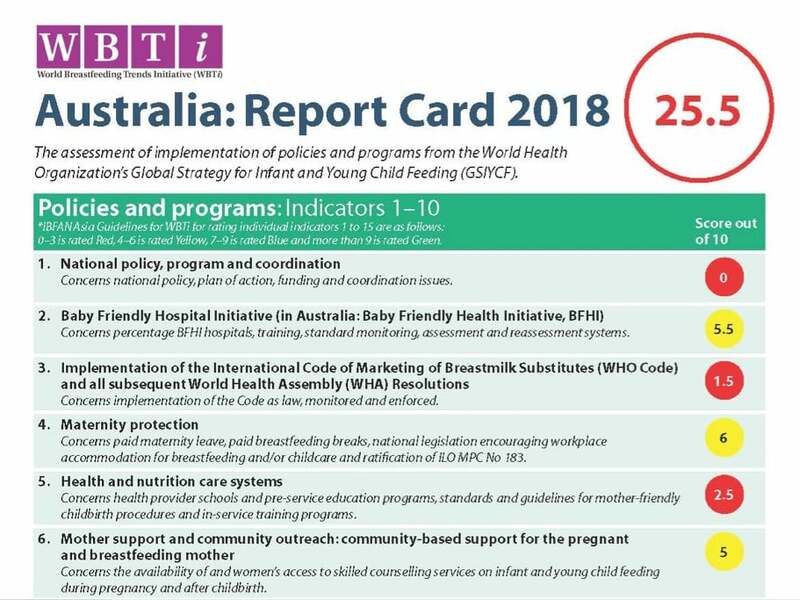 Our World Breastfeeding Trends Initiative assessment demonstrated a lack of legislated commitment in Australia to areas as diverse as health professional education, national education strategies and informational support (Indicators 1, 5 & 7). Our efforts to “protect” breastfeeding are also weak. This is clearly demonstrated by the Australian governments’ 1.5/10 score on Indicator 3, concerning the implementation of the WHO International Code of Marketing of Breastmilk Substitutes. The WHO Code gives governments responsibility for implementing the Code. So how do Australian governments regulate the activities of the baby food industry? 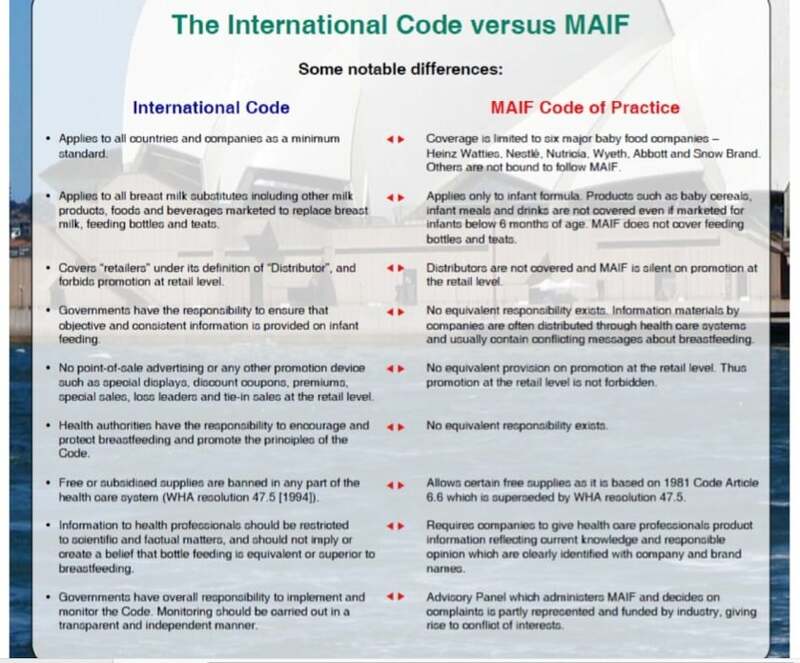 The 1992 Marketing in Australia of Infant Formula (MAIF) agreement is a voluntary, self-regulatory code of conduct agreed between manufacturers and importers of infant formula in Australia. It is modelled on some aspects of the 1981 WHO Code, but excludes retailers. 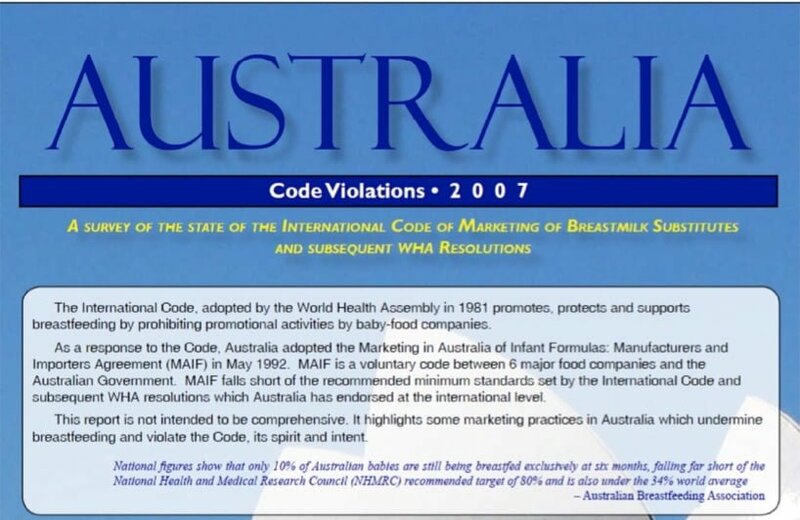 Despite WHO Code provisions requiring education and information to be free of commercial influence, Australia’s industry agreement permits formula company sponsorship of health professional events, and low cost provision of donations of infant formula to maternity care and other health facilities. International Guidance from WHO was amended in 2016 to explicitly include toddler formulas in the Code but there is not parallel commitment in the outdated MAIF agreement. 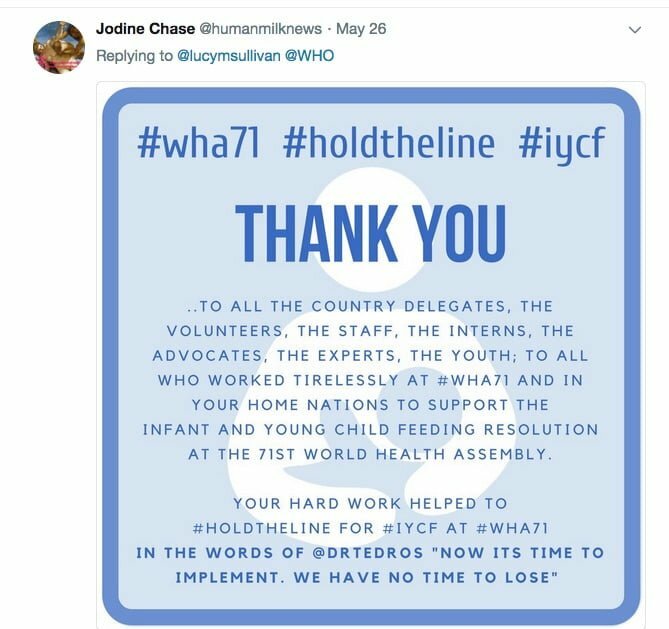 It is but a pale imitation of the WHO Code, and includes none of the Resolutions passed by the WHA since 1981 to update and strengthen the original Resolution to reflect changes in society and marketing environments. 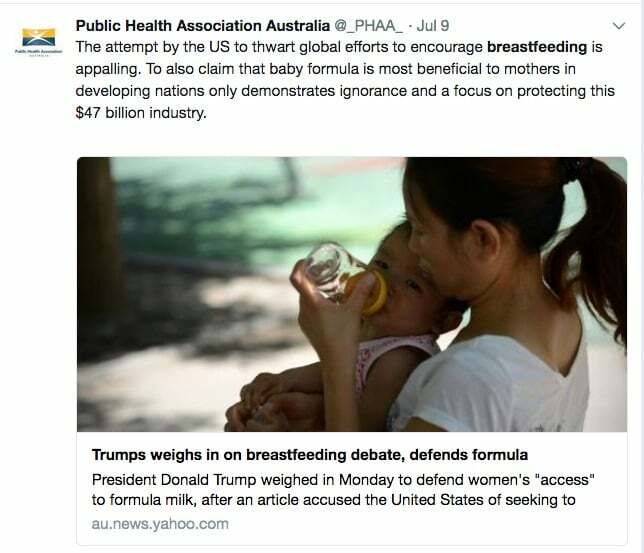 The MAIF Advisory Panel (APMAIF) was the key body for the Australian government to supervise industry’s regulation of infant formula marketing, and hold industry accountable in parliament. Each year, it was required by law to publish a report on complaints about baby food marketing and how they were addressed. In 2013 the Abbott Government abolished APMAIF as useless ‘red tape’. The Infant Nutrition Council, a key industry lobbying body whose members are infant formula manufacturers and marketers, established an alternative MAIF Complaints Tribunal in 2014. The Department of Health filters and forwards the few complaints which are within the narrow scope of the industry agreement to the Tribunal. 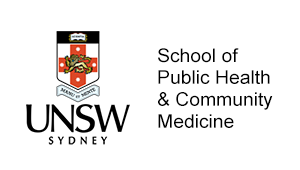 The new arrangements are described as being independent of industry, managed by The Ethics Centre in Sydney. How can a panel of “key stakeholders” for an industry self-regulatory body be independent of industry? 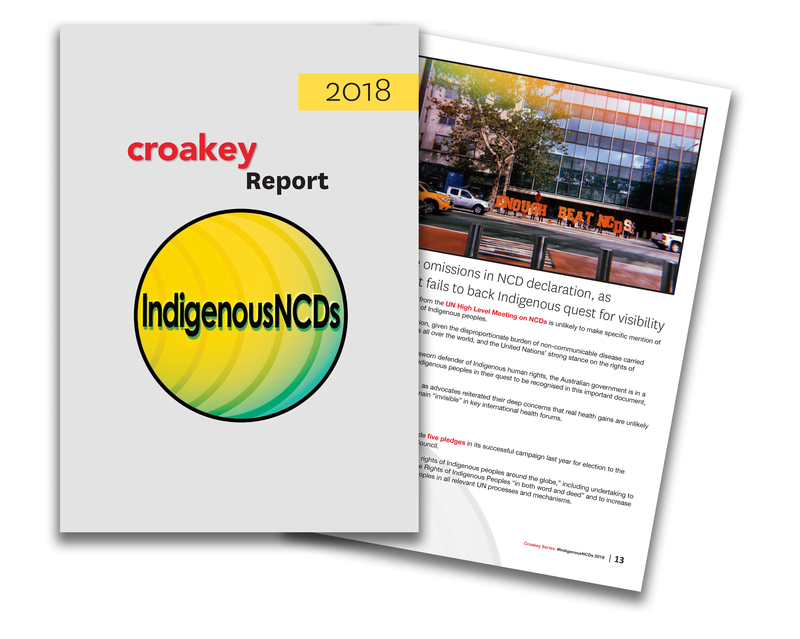 Australia might have scored better in the WBTi assessment if we had even commenced formal measures to enforce Code compliance, or if we even had comprehensive coverage instead of partial voluntary measures. But the big ticket items here are about making articles of the Code a lawful requirement and for WHA resolutions to be included in national legislation. 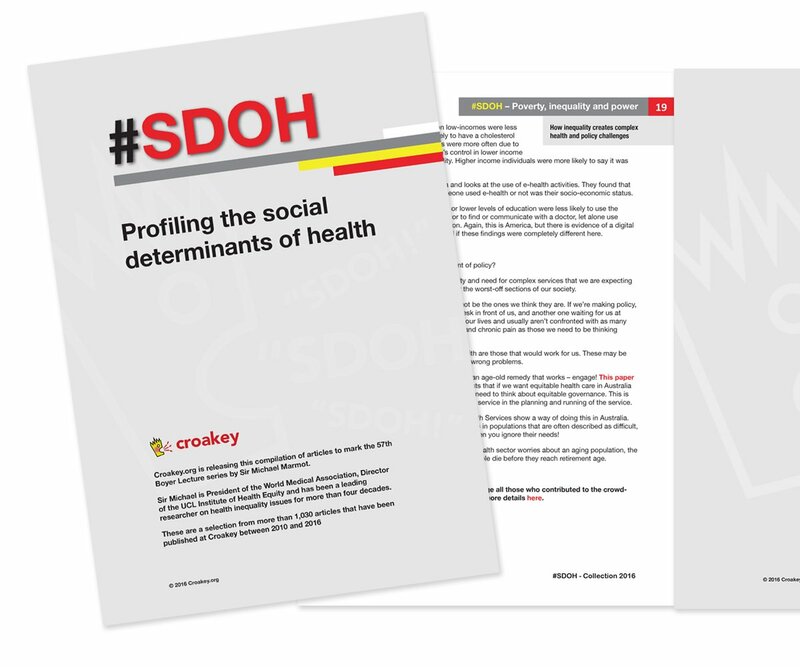 Australia’s self-regulated Code of Practice is “outdated and limited in scope and effectiveness”. 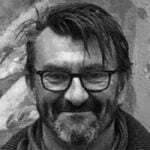 The complaints process is handled by an entity (The MAIF Tribunal), whose processes are not transparent and where industry-civil society alliances are muddied. Breastfeeding is a unique process that provides ideal nutrition for infants and contributes to their healthy growth and development. It also contributes to women’s health. It provides social and economic benefits to the family and the nation. 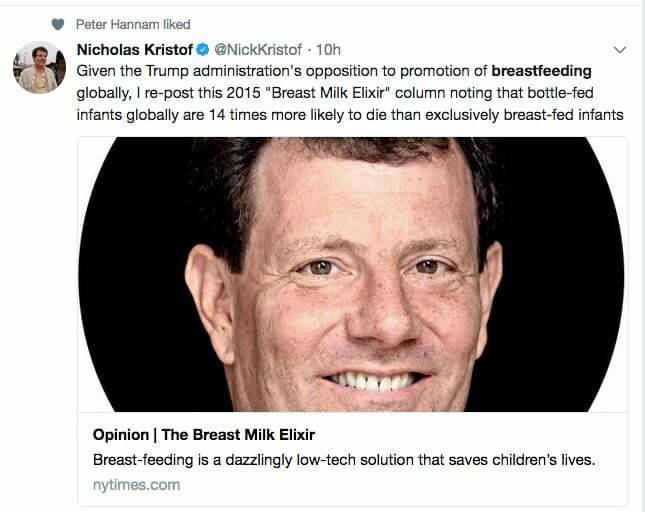 In order for the optimal number of babies to be breastfed a “breastfeeding culture” is needed – and this includes a vigorous defence against the influences of a “bottle feeding culture”. While it might seem that everyone in Australia loves breastfeeding, we would do well to remember that tins of infant formula also have that message written on them. 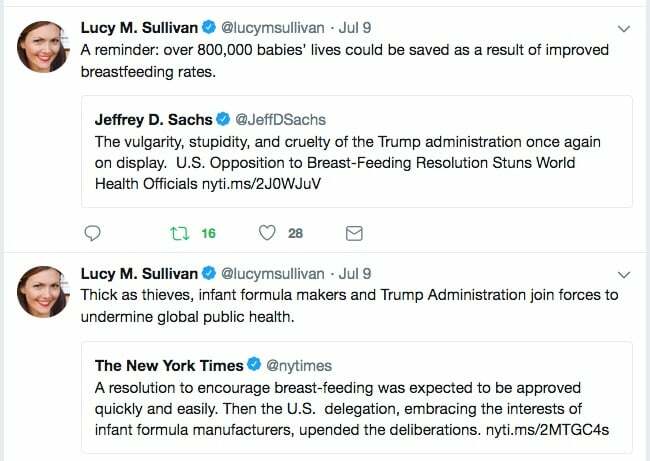 The US Department of Health and Human Service – the lead agency in the World Health Assembly negotiations – cited the US’s “long history” of support for breastfeeding. 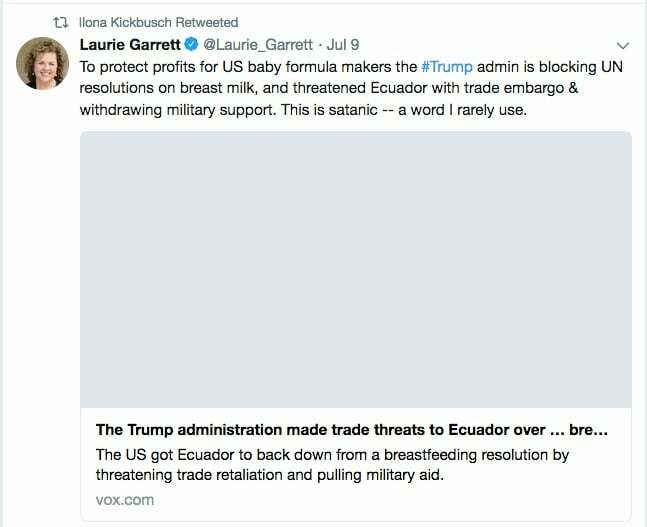 And even Donald Trump tweeted: “the US strongly supports breastfeeding”. In the lead up to the 27th annual World Breastfeeding Week celebration (1-7 August), it is apt that we are reminded of the need for all countries to act on their declarations of love and fully enact legislation, policies and programs that protect, promote and support breastfeeding. 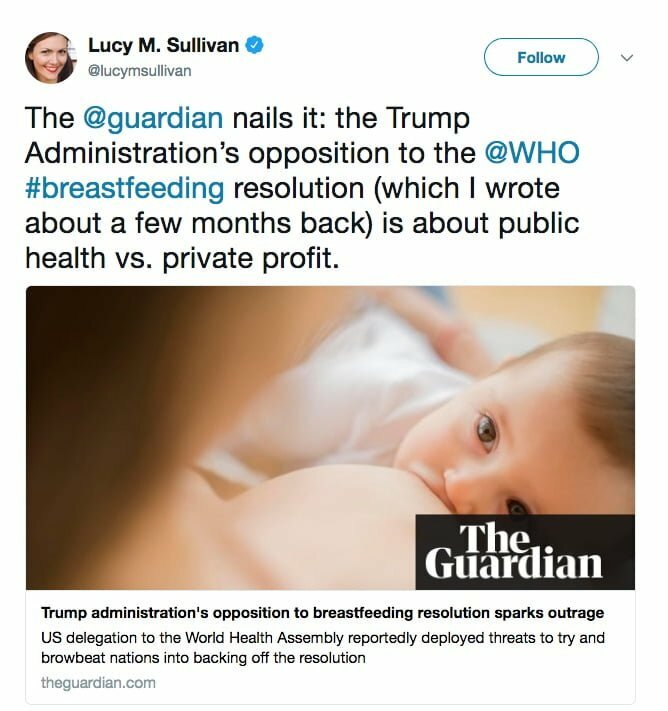 It is vital that we protect breastfeeding from commercial and industry interests who have very different goals to those advocating for women’s right to breastfeed. No breastmilk substitute … can begin to offer the numerous unique health advantages that breastmilk provides for babies. 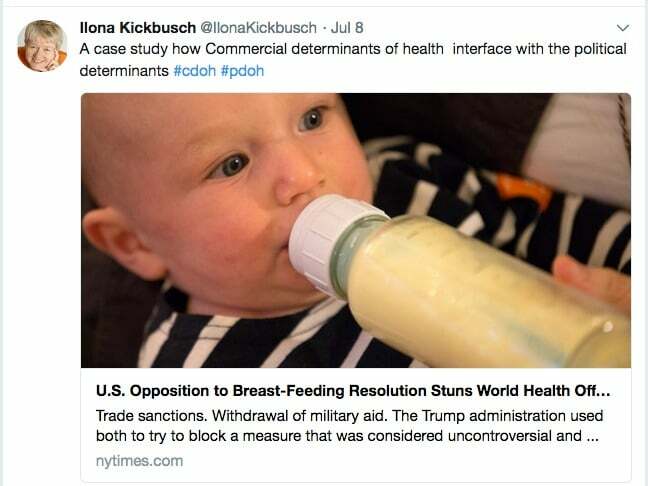 Nor can artificial feeding do more than approximate the act of breastfeeding, in physiological and emotional significance, for babies and mothers alike. And no matter how appropriate infant formula may be from a nutritional standpoint, when infants are not breastfed or are breastfed only partially, feeding with formula remains a deviation from the biological norm for virtually all infants. (Source) World Health Organization (WHO), 2001, Infant formula and related trade issues in the context of the International Code of Marketing of Breast-milk Substitutes. • Follow WBTiAUS at its blog, https://wbtiaus.com/, on Twitter, and on Facebook. 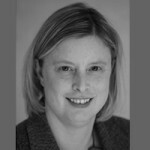 Julie Smith (PhD) is an ARC Future Fellow, and Professor (Associate) in the Menzies Centre for Health Policy. 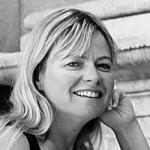 Until 2014 at the Australian Centre for Economic Research on Health (College of Medicine, Biology & Environment), she led ARC funded projects on the economics of breastfeeding and markets in mothers milk with a time use study of new mothers, and on breastfeeding support in workplaces and childcare. 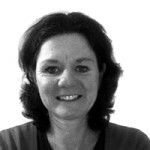 Previously she worked in Australian and New Zealand treasury and finance departments. Mary Peterson is a communications specialist who has worked in politics, advocacy, human reproduction, tourism and most recently in strategic communications at an Independent Public School. 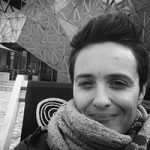 She is also a qualified breastfeeding counsellor and currently advising on the media strategy for the WBTi Australia Core group. Statement by Lucy Sullivan, of 1,000 Days. And DON’T MISS First Dog on the Moon. 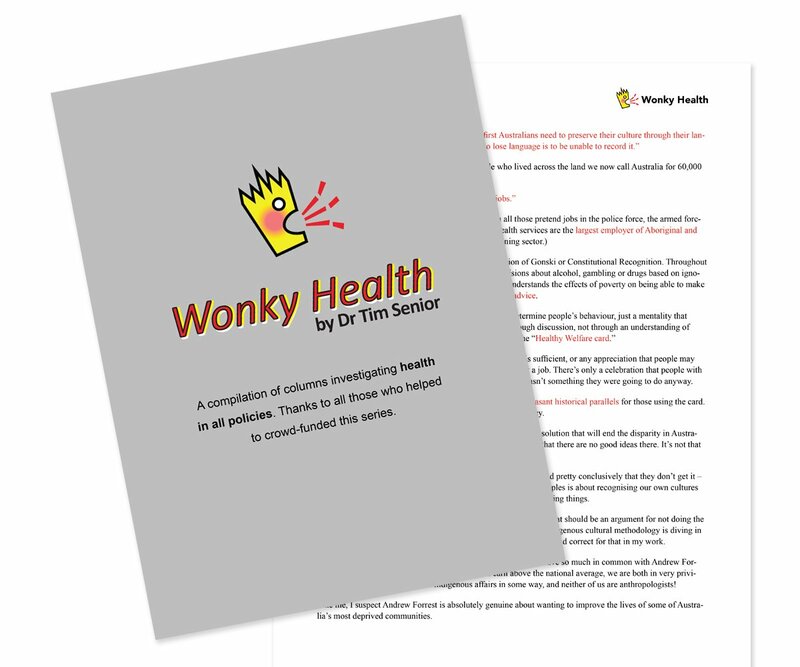 Thank you for this contribution – we can never stop being both vigilant and prepared to defend this vital part of our health and wellbeing; and great to see the work you are doing! 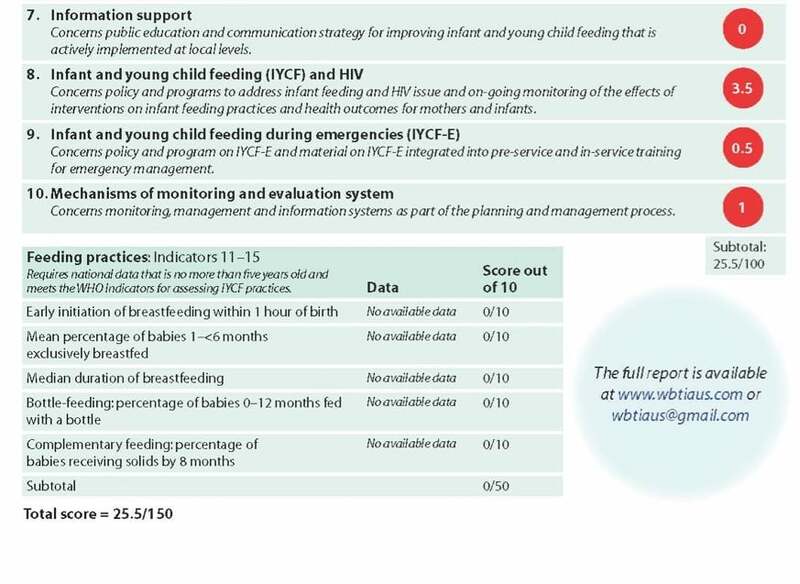 I note that the feeding practices on the 2018 report card show no data collected for all indicators. Surely the fact that we don’t keep any or accurate data on how many babies are being breastfed is alarming & concerning!